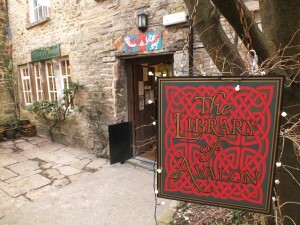 The Library of Avalon provides a quiet space in the heart of Glastonbury for the study and research of esoteric and occult arts. 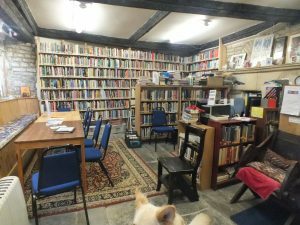 The Library’s Reading Room is also available for hire in the morning or evening when the library is not open to the public, from 9am to 1pm and 5pm to 9.30pm. 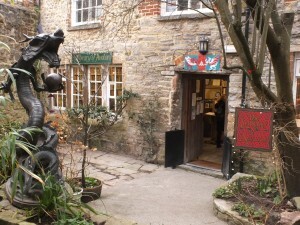 This space has been used for committee meetings, meditations, visualisation sessions, dream workshops, poetry and creative writing groups. 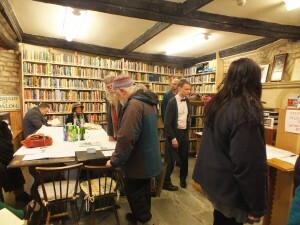 The Reading Room is available for Hire for as little as £15. The full terms and conditions for hire are available on request. 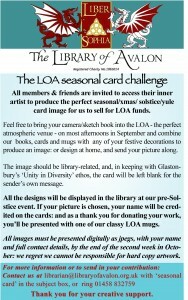 Please inquire at the Library of Avalon or phone 01458 832 759. 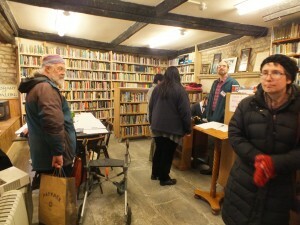 The Library of Avalon is delighted to congratulate The Glastonbury Pilgrim Centre on its move out of our reading room and into St Dunstan’s House. Long may they prosper there. 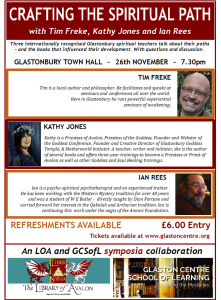 Below are listed the Symposia and talks we have held in the recent past. Sarah created this story in her dreaming cave this winter, inspired by the painting by Dorrie Joy, who will illustrate the final version. 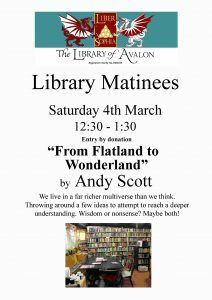 7th January 2017 12.30 – 1.30pm. 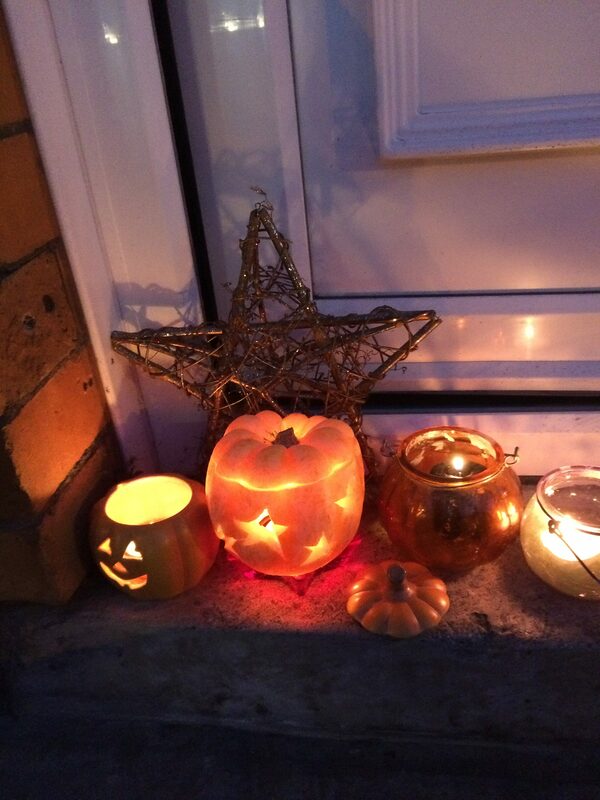 Ritual and Seasonal food in Modern Paganism. Plant Spirit Medicine is a doorway into cosmic consciousness; a revelation from the heart of Nature. 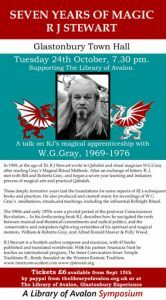 It is a simple, powerful method of receiving and storing nature’s gifts, which everyone can learn and benefit from: and it has probably been part of an energetic healing tradition here on the Isle of Avalon for millennia. 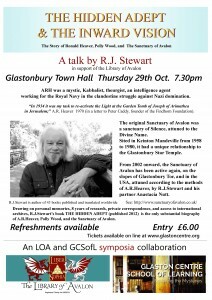 In this illustrated talk we will look at some of the history, science and techniques of working with Essences and Plant Consciousness. Sophie has been co-creating Wild Medicine Essences as a spiritual practice since 2003, learning from the plants themselves. She is a core member of the Chalice Well Essences team and involved in the development and delivery of the Chalice Well Essences Practitioner Training as a Tutor Member of the BFVEA. She is qualified in vibrational medicine is a registered homeopath working with bio-energetic medicine. She is passionate about teaching people how to make and work with Essences as well as how to heal themselves naturally. 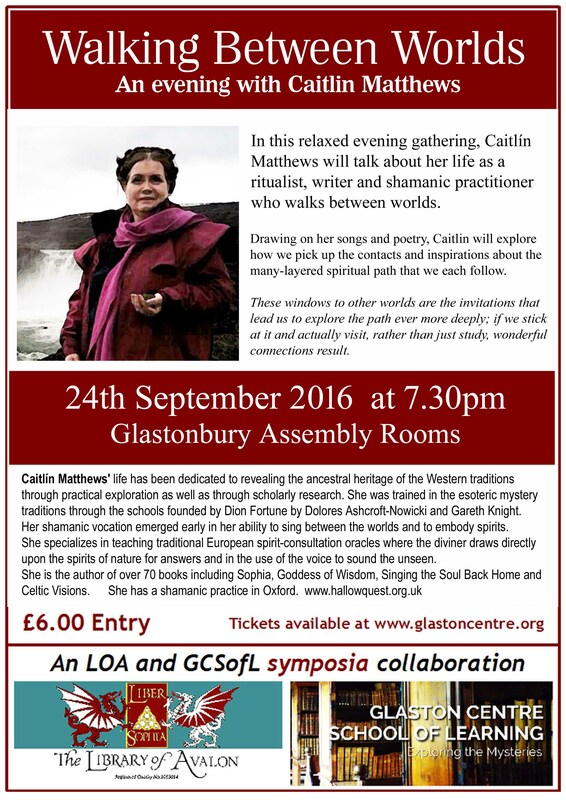 In this relaxed evening gathering, Caitlín Matthews will talk about her life as a ritualist, writer and shamanic practitioner who walks between worlds. 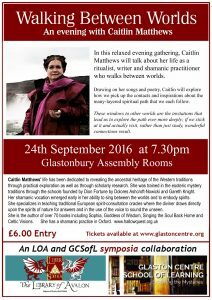 Drawing on her songs and poetry, she will explore how we pick up the contacts and inspirations about the many-layered spiritual path that we each follow. These windows to other worlds are the invitations that lead us to explore the path ever more deeply; if we stick at it and actually visit, rather than just study, wonderful connections result. Click on image below to access larger, legible version of the poster! Rasputin was part of an ancient Siberian Shamanistic Tradition which treated everything on earth as being alive with life and part of the body of the Great Mother. His cultural past is very Feminine-centric- a philosophical view that sees time move, not in a straight line, but in circles, and that includes everyone in a loving embrace. Even the view of the meaning and significance of death itself undergoes a radical shift in his world, centred as it is on the Divine Feminine. He taught his philosophy to the Imperial Family of Russia – and it very nearly revolutionised the world. Properly understood, the tradition he is a part of could change our world today – for the better. Steven Ingman-Greer is a musician, author and poet, who has spent most of the last 35 years researching Russia’s last Imperial Family. His novel, “Lost Eagle”, about the life of Nicholas II’s daughter Tatiana was published by Top Hat Books in October 2013 and is one of a series of five about the children of Nicholas II and Rasputin. He was consultant to Channel 4 in their TV series “Masters of Darkness”, on Rasputin. His Poetry collection, Russian Snowflakes and his novel about Nicholas II’s daughter Anastasia, “Voice on the Wind” are due to be published in 2017. 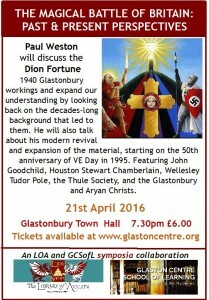 Please see his website for more information. 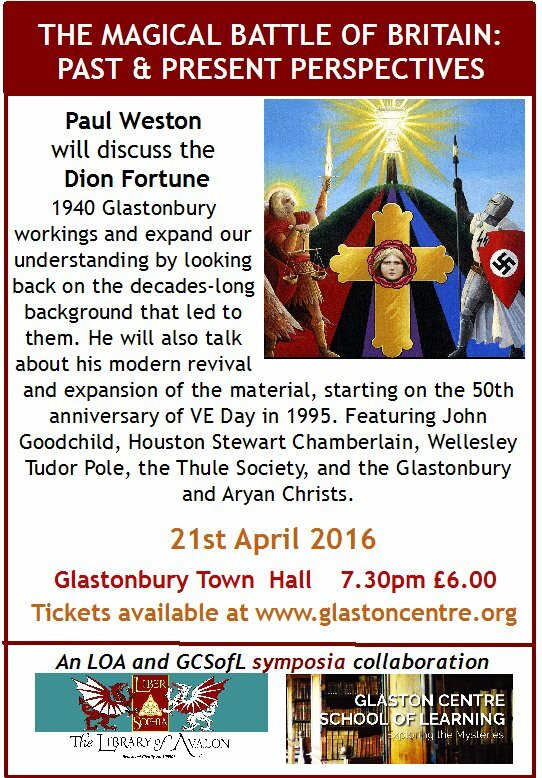 Don’t miss a fascinating discussion about Dion Fortune and the 1940 Glastonbury workings, featuring John Goodchild, Houston Stewart Chamerain, Wellesley Tudor Pole, the Thule Society and the Glastonbury and Aryan Christs. 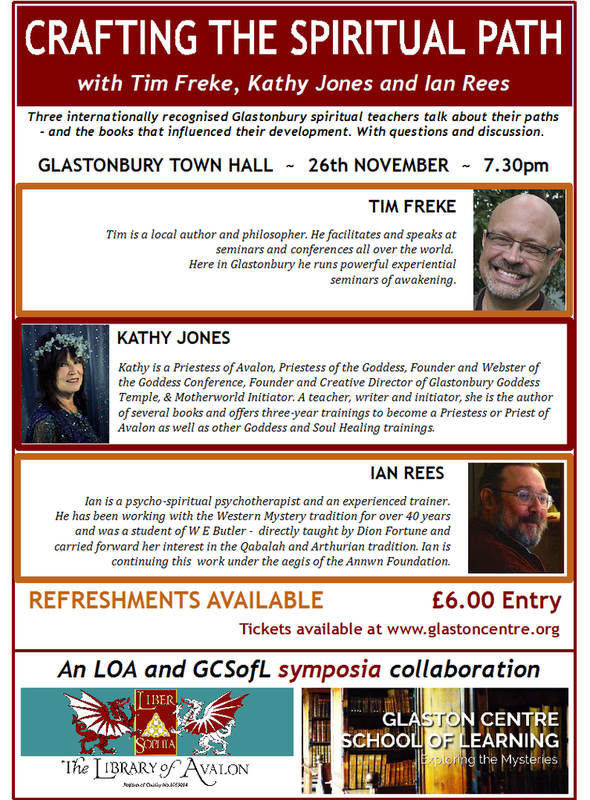 We look forward to seeing you at the Town Hall on the 28th November for a fascinating evening with Tim Freke, Kathy Jones and Ian Rees discussing the books that have been most influential to them on their spiritual journeys. Sophie has been co-creating Wild Medicine Essences as a spiritual practice since 2003, learning from the plants themselves. She is a core member of the Chalice Well Essences team and involved in the development and delivery of the Chalice Well Essences Practitioner Training as a Tutor Member of the BFVEA. She is qualified in vibrational medicine is a registered homoeopath working with bio-energetic medicine. She is passionate about teaching people how to make and work with Essences as well as how to heal themselves naturally. Steven Ingman-Greer is a musician, author and poet, who has spent most of the last 35 years researching Russia’s last Imperial Family. His novel, “Lost Eagle”, about the life of Nicholas II’s daughter Tatiana was published by Top Hat Books in October 2013 and is one of a series of five about the children of Nicholas II and Rasputin. He was a consultant to Channel 4 in their TV series “Masters of Darkness”, on Rasputin. His Poetry collection, Russian Snowflakes and his novel about Nicholas II’s daughter Anastasia, “Voice on the Wind” are due to be published in 2017. 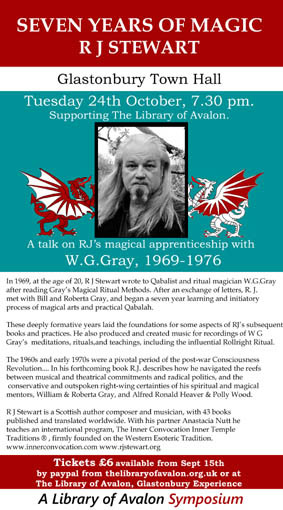 Please see his website for more information. 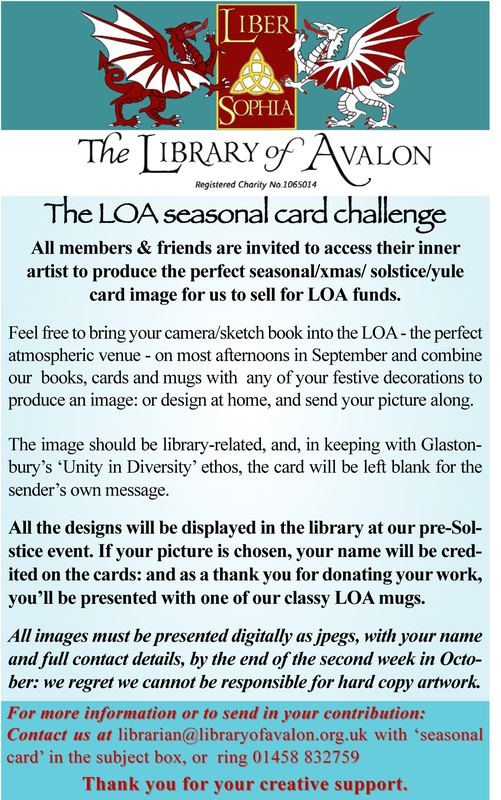 Come and Share Your Creative Spirit – Give your inner artist free reign and Design a Seasonal Card for your Favourite Library! 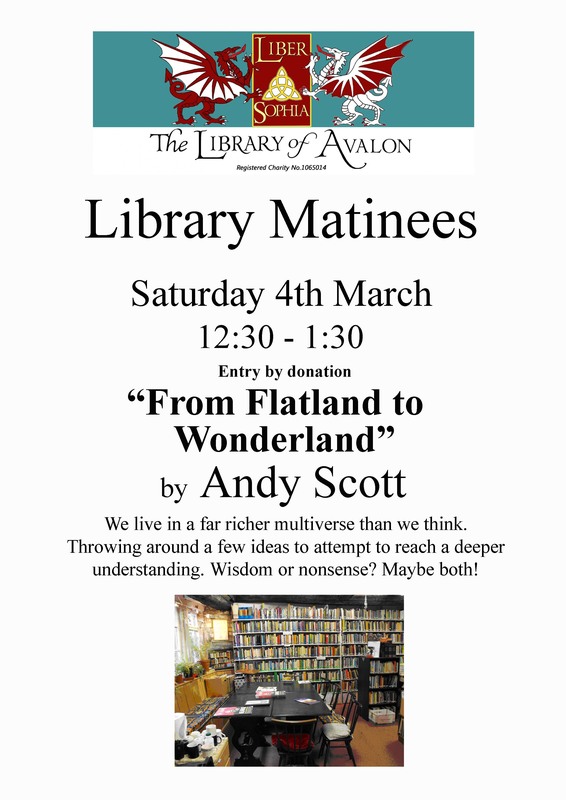 You can reference anything or the returning of the light – Yule / Christmas / Hanukkah / Pancha Ganapati / Saturnalia / Dies Natalis Solis Invicti / Newtonmas / Click on the image below for details! 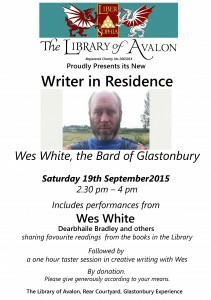 Wes White, current Bard of Glastonbury and Writer in Residence at the Library of Avalon offering coaching in creative writing. 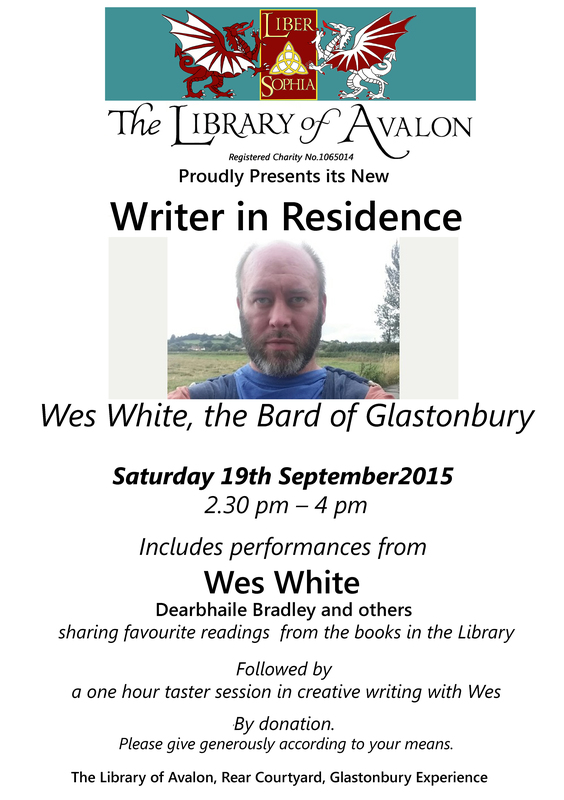 Wes is a lifelong Glastonian and the town’s 10th Chaired Bard. Wellcome Collection, and for Newcastle Centre for the Literary Arts as part of the London 2012 Cultural Olympiad. Since the devastating flash flood in August 2014, which destroyed over 2,000 books in our collection and most of the library furnishings, the library has had a total refit. 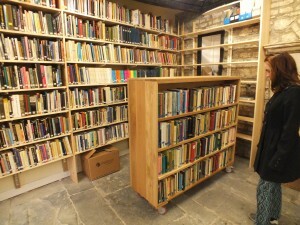 The old bookcases and even the floors have been removed and replaced with new. Redecorated and fitted with beautiful oak bookcases and wall mounted pine shelves, the library looks, smells and feels very different! 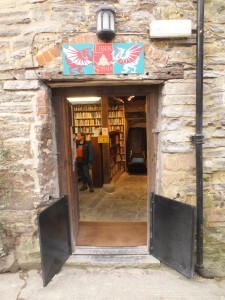 Right now the newly elected board of trustees are reviewing a new Library Development Policy designed to guide the library towards a more active involvement in the community and a better managed book collection.